LOST JEEPS • View topic - Auto-down for all four windows? Auto-down for all four windows? Post subject: Auto-down for all four windows? Okay... Did some searching but didn't get anywhere conclusive with it. Tossing this out there to see if anyone can provide an answer. I have a tendency to drive with all four windows down when the weather's nice. The front windows have automatic rolldown, and I'd like to add it to the rears. 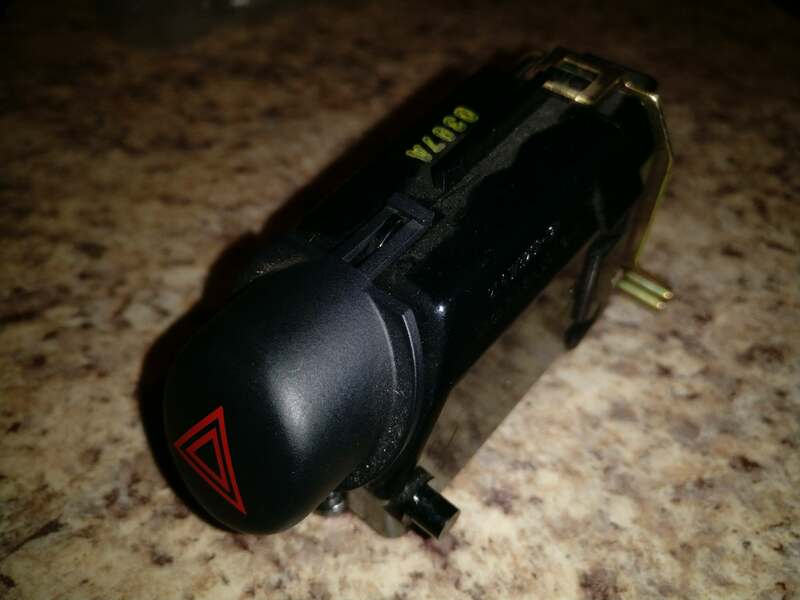 Is this as simple as swapping out the switches, or is it something that is controlled by the BCM? Post subject: Re: Auto-down for all four windows? When you firmly hit 'down', it forces a curved, bimetal strip 'over center' in the switch. It then holds the contact closed until the window completes it's stroke. When the window hits the bottom, the increased amps heat up the strip and 'pops' the strip open again. Cool, thanks for the info. Looks like I'll have to grab a few next time I'm at the junkyard. Post back and let us know how it goes...I'm interested in this as well. I never thought of this and also interested. I need to do a junkyard trip soon anyway. I do the same as you do. I hit the automatic switch for the fronts then hold down the backs. It'll be so convenient to have all 4 automatic. Let us know how it works out! 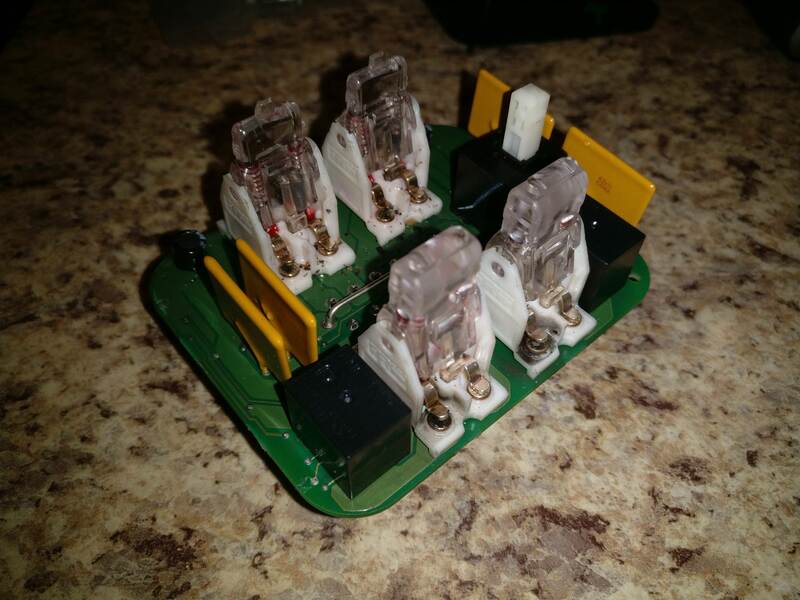 Thing is, they aren't four individual switches, it's one big "switch module". 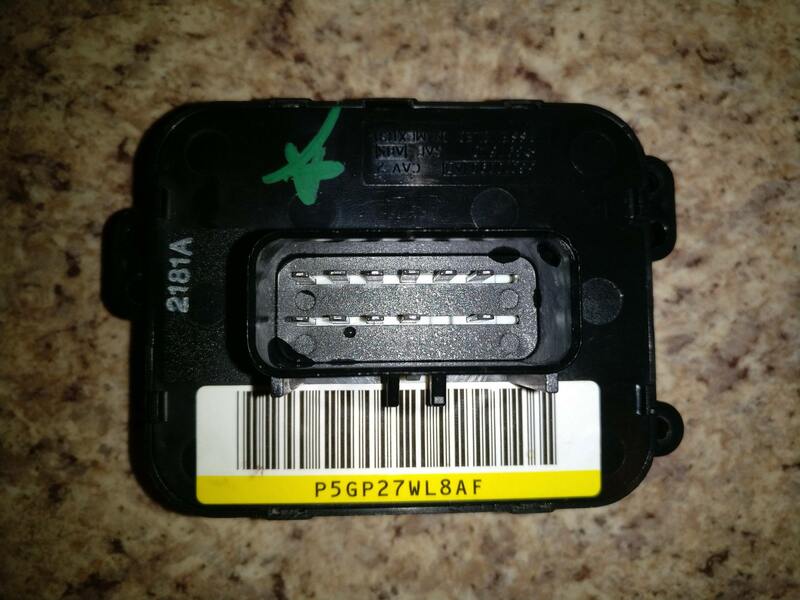 Whether or not you can grab one from the junkyard, take the guts out of the front two switches, and install them in your rear two switches, I don't know. Would be nice though. Correct; found that out when I was looking into it. For reference, the rear switches are also a single module. It appears as though it just clips together, so getting access to the internals shouldn't be impossible. 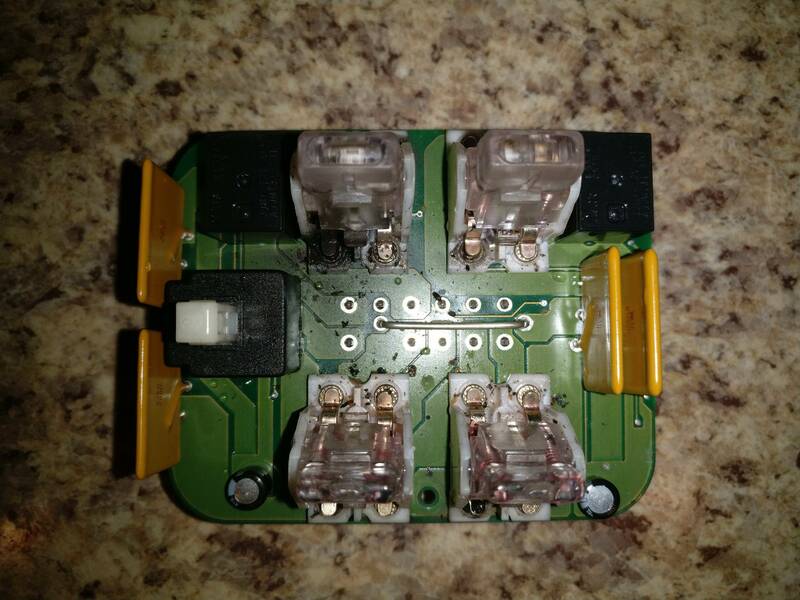 My suspicion is that the guts can be transplanted between all four switches. That's a totally unfounded suspicion, so take it for what it's worth until I can make the junkyard run. Once everything is apart, I'm also going to look into the possibility of adding auto-up. I have feeling that's going to be dependent on mouldings in the plastic being there that likely aren't, however. Hoping this can be the junkyard weekend, but it's looking as though Jeep maintenance, project car maintenance, and 10,000,000,000 errands are going to kill that until at least next weekend. I think auto-up could be a bit difficult....system needs to be sensitive enough so that a child or pet does not get decapitated! I had auto-up on my previous vehicle...a Landrover Freelander...a useless vehicle but auto-up was a pleasure! I recently did my Dodge Ram windows.. it too had the 'master' switch.. and then the other 'slave' switches.. I believe the plug in was quite different too. 40 bucks and the capacity to auto up or down 4 windows. 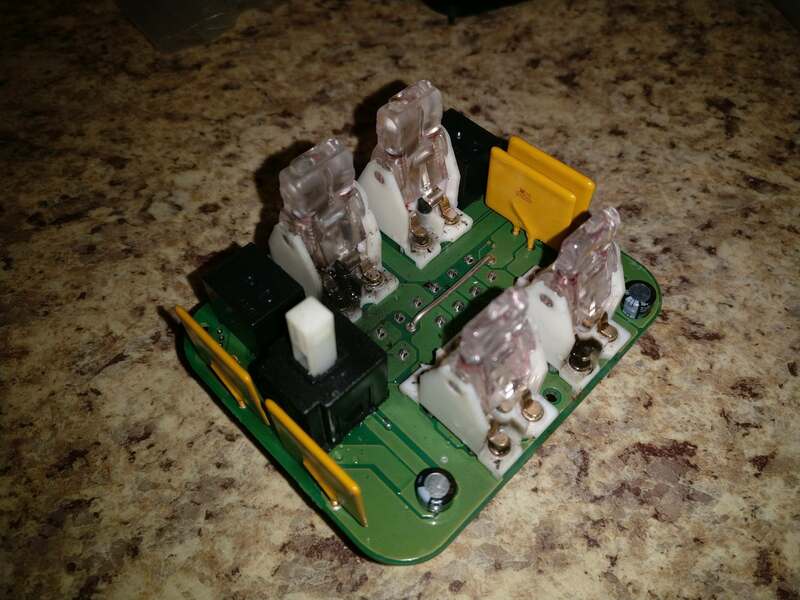 Today was finally junkyard day, and it taught me a few things about how these switches are assembled. Apologies in advance for the images; my phone was being exceptionally potato-y about that today. 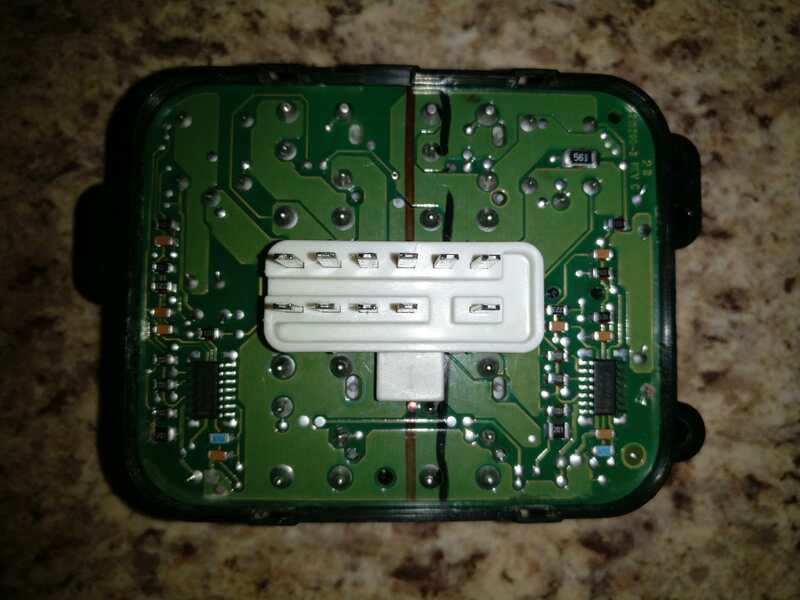 I'm actually cheating a little here - the photo of the switch with the backing plate on it is really the 2007 switch with the 2002 backing plate snapped on. In the process of eyeballing them, the PCBs were marked with different revision numbers, but a quick look didn't turn up any major differences between the two, including values marked on individual components as well as the layout and location of the pins that connect back to the wiring harness. I haven't run this switch assembly in our '05 yet, but I suspect that 2002-2007 will interchange just fine. In the foreground are the switches for the rear windows. 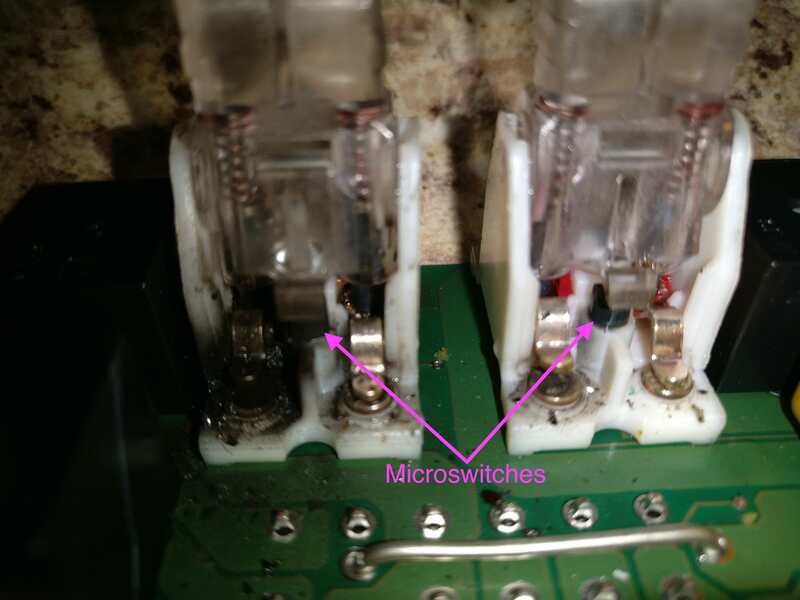 Note that there are no microswitches in the mounting holes. In the background are the switches for the front windows. Note that there is a relay mounted to the PCB beside each switch. From doing a quick (but by no means extensive) chasedown of the circuit on the PCB, these relays control the auto-down behaviour. 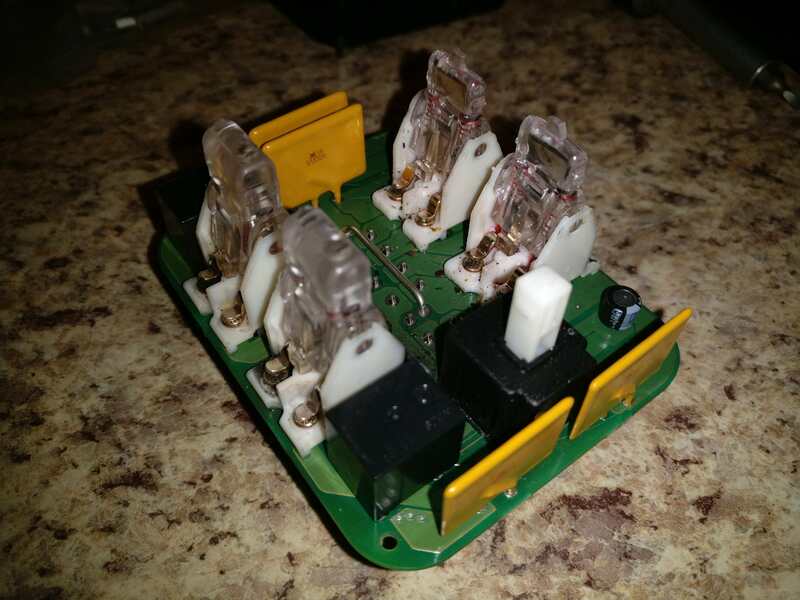 Because there is no provision on the PCB to add these relays and the associated microswitch for the rear windows, there is no good way to add auto-down for the rear windows. Could it be done? Probably, but you'd end up with a hacked-up mess that would be a real pain to package back into the centre console. Long-term reliability of the modification would also likely be very questionable. Auto-up (even for just the front windows) looks to fall into the same category, but with an additional caveat: the switch bodies only have mounting holes for the microswitch on the 'down' side of their operation, not on the 'up' side. 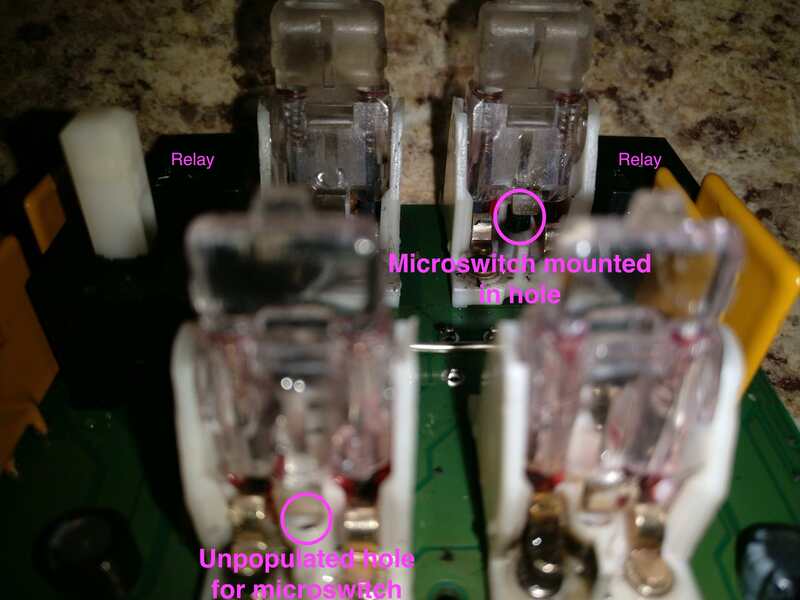 It would take some very careful work with <insert rotary tool here> to add the appropriate hole to the other side of the switch body - at which point you're back to the relay issue, since you'd need to do some jumpering to the relay to make it work in reverse of how it's normally intended to. Anyway, I'm calling this idea dead - it's just not worth the effort involved for what you'd get out of it. 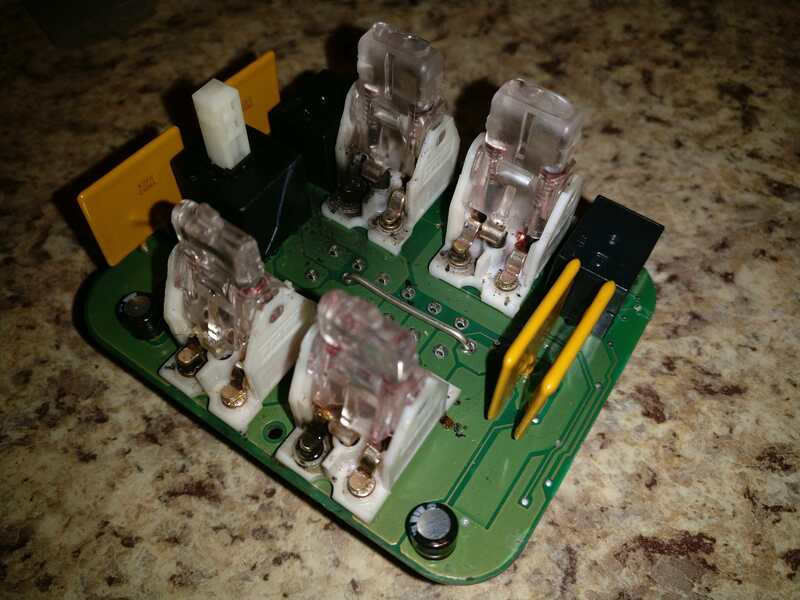 Thanks to this thread on jeepforum for pointing me in the right direction re: removing the window switch caps, which was necessary in order to separate the PCB from the casing.